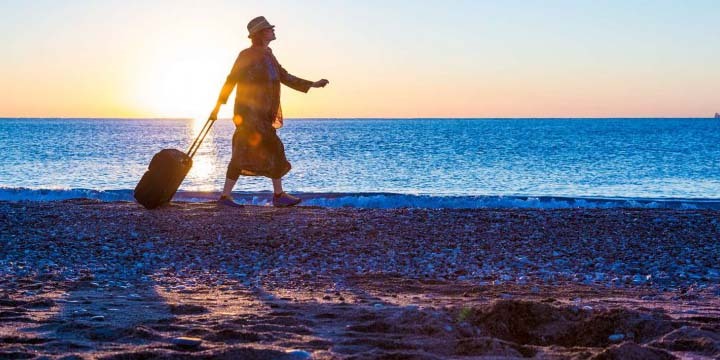 HomeTravelsWhy Should Seniors Travel More Often? Before even getting started, let us clarify one thing: it’s not just about assisting seniors or the elderlies and encouraging them to travel often. This includes people from all age groups. Travelling is essential and a really healthy activity. We will focus on the part where it has some added incentives and reasons for elders to do it. The rudimentary part of the logic behind travelling more is the availability of free time. After a person retires, he/she experiences a certain hollowness in their lives. And no matter how much they try to stay preoccupied with other activities, the void just doesn’t seem to go away. The free time they get after leaving work really can make them lonely and make them question their priorities. Therefore, the best reason to travel after retiring and in old age is to kill that excess time while learning something new! • It has been a well-researched statement that learning new languages can slow down mental aging. Going to new places and learning to speak the tongue will help the brain to stay young and healthy. • Another perk of learning a new language is it helps improve the memory. Ah, speaking of mental health, we should also mention, wandering in museums, or roaming around in a beach and exploring depths of caves and waterfalls helps in jogging the muscles in the brain. The feeling of elation and adventure is a very good way to nurture the brain. • Then comes the part of relaxation. An idle day on the beach or a lake-house can help boost the brains vitality and make a person hungry for exploration and adventure! • Quite apparently travelling involves physical activities. However, this type of physical activities is fun and, most importantly, not boring. Walking around piazzas or museums or bridges is the perfect dose of physical activity with the promise to entertain. However, it should be kept in mind not to over-exert themselves while travelling. There should be someone who’d be responsible for assisting seniors throughout the period of travel. • Travelling to new places often can be very enlightening and offer new and unique perspectives on life. • Travelling can help your parents make new and like-minded companions who’d accompany them in their travels. • Travelling can act as an escape from the daily shenanigans of the mundane lifestyle. • Make a list of all the travel agents offering their services for travelling to the particular areas of your choosing. • Compare the available facilities by the agents and the travel package, also put in extra effort to find out if there are any additional facilities available to accommodate seniors. • Consult the physician for getting a full health checkup prior to your travel, and take vaccinations if necessary. • Always keep a hold of contacts of local emergency services during travelling to a place. This is where TriBeCa Travels step in to help you sort out your parents travelling plans and provide all round service assisting seniors in their travels. All of the plans available are streamlined to meet the needs of an aging traveler. Accommodation and mobility are set to ensure that your elderly parents get the most out of their journey. Feel free to drop in TriBeCa Care and contact us to know more!